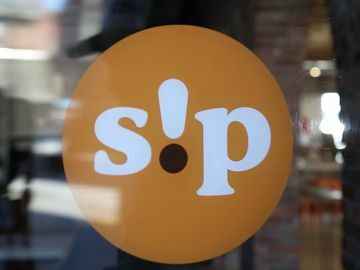 Looking for a family-friendly surprise for Mom this Mother’s Day? 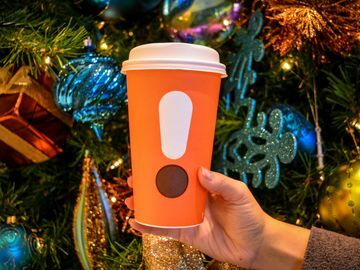 Our culinary team has an idea for you! 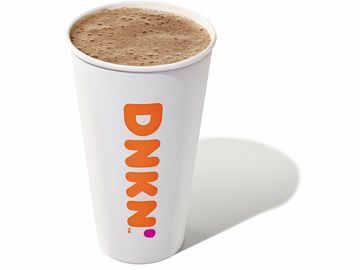 While we often post blog entries with recipes showcasing how can use Dunkin’ Donuts products (e.g. 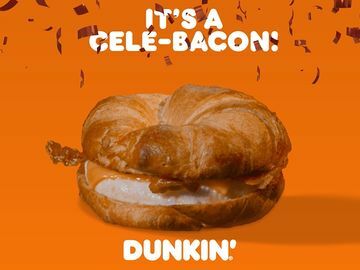 coffee, lattes, bagels) to whip up a delicious dish, we’ve never shown how you can take a donut and transform it into something completely different…until now! 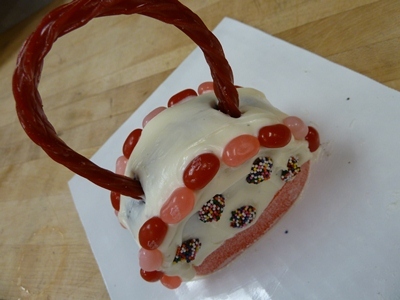 IntroDDucing…our Mother’s Day Donut Purse! Our DIY Mother's Day Donut Purse. Be sure not to cut off too much of the donut. You just need a nice flat bottom to work with. Start by cutting 1/4”-1/2” off the edge of the donut. 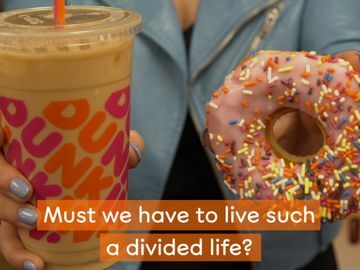 It’s important that you use one of Dunkin’ Donuts’ glazed chocolate cake or old fashioned donut, as this donut variety will hold up the best when decorating. Note: This is where the project will start to get messy, so choose your Mother’s Day Donut Purse making station wisely and make sure you have hand wipes or a damp wash cloth nearby for sticky hands! 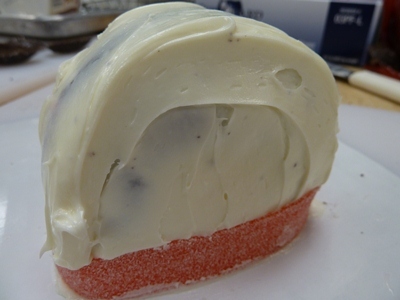 Next, fill-in the center of the donut with frosting, then place a small amount of frosting on the bottom of the donut under the edge you just cut. Place the donut on a plate. The frosting will help to keep the donut in place. Do you see a donut underneath? Neither do we! 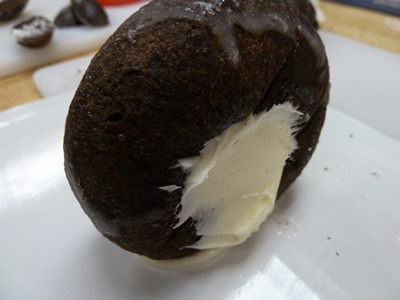 Using a spatula or the back of a spoon, spread the frosting evenly over both sides of the donut. Smooth out the frosting as best you can. 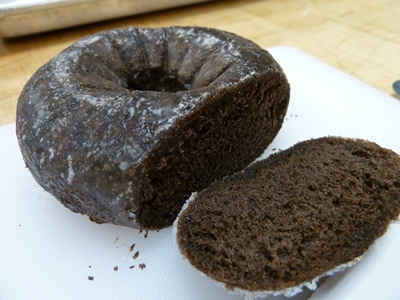 With the remaining amount of frosting, spread along the top of the donut, and smooth out any rough edges. You want your donut to be completely hidden. Start to decorate your purse with your Mom's favorite candy. Now comes the really fun part! Create your purse handle by using one Twizzler stick. Place the two ends of the Twizzler on opposite ends of the top portion of the donut. 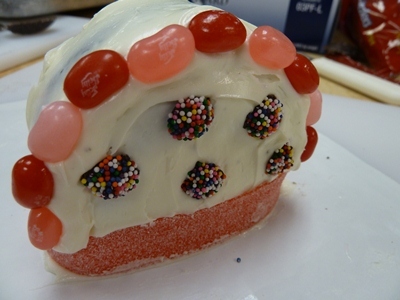 Then, use the remaining candy to decorate as you wish. Check out how we decorated ours below! Depending on your vision for your purse, you can add the Twizzler handle in before or after the decoration process. You can also trim down the Twizzler for a shorter handle. Be creative! 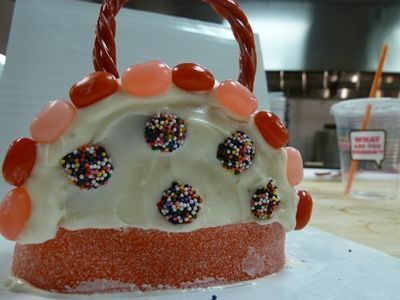 This Dunkin’ DIY Donut Purse would also make for a great craft project, or a fun birthday party activity. Don’t forget to pick up a few extra donuts or munchkins donut hole treats to enjoy while making your donut purses! From our DD family to yours, Happy Mother’s Day!